Starting out as the Agricultural College of West Virginia in 1867 with six faculty members and six college students, West Virginia University is now a well-known research university with a fall 2014 total enrolment of just under 32,000. Academically outstanding freshmen can apply for the Foundation Scholarship, which covers the cost of attendance for four-years and includes a one-time $4,500 stipend for study abroad opportunity or other enrichment experience. Qualified beginning students can also apply for the Bucklew Scholarship ($8,000/year). Incoming freshmen with excellent scholastic records are automatically considered for the following programs: President Scholarship ($4,000/year), Rhododendron Scholarship ($3,000/year), Mountaineer Scholarship ($2,500/year), Vandalia Scholarship ($2,000/year) and the Governor's Honors Academy Scholarship ($1,500/year). West Liberty University, a four-year public university, is the oldest institution of higher education in West Virginia, offering undergraduate, graduate and professional degrees in more than 60 different programs in five academic colleges. With a student body of about 2,700, WLU awards more than $5 million annually in scholarships, and 91 percent of students receive some sort of financial aid. First-time freshmen are eligible for merit-based scholarships with the amount determined by their ACT scores and high school GPA. These four-year scholarships range from a full ride - covering tuition, fees, room and board - to $1,000 a year. Transfer students are eligible for a scholarship valued at $2,000 per year for up to three years. Just over 4,000 undergraduates and graduate students call Shepherd University home, a university which was founded in 1871 and originally housed in a vacated courthouse. Incoming full-time freshmen are considered for the following merit scholarships: Honors Tuition Waiver (covers partial cost of tuition), Alumni Scholarship, Rubye Clyde McCormick Scholarship ($5,000 per year), Ralph and Margaret Burkhart Honors Scholarship, and the William Randolph Hearst Foundation Scholarship ($1,500 per year). Two scholarships (Dr. David Dunlop Scholarship and the Mark and Barbara Stern Scholarship) are general academic scholarships and non-renewable. For the academic year 2013-2014, 35 percent of Shepherd students received the Pell Grant, with the average grant award amounting to $4,350. The average freshman financial assistance package is $11,773. West Virginia takes pride in giving its residents several options that make college education more affordable. Financial aid comes in many forms – state and federal grants, private scholarships, loan repayment opportunities, and recruitment incentive programs for qualified students. 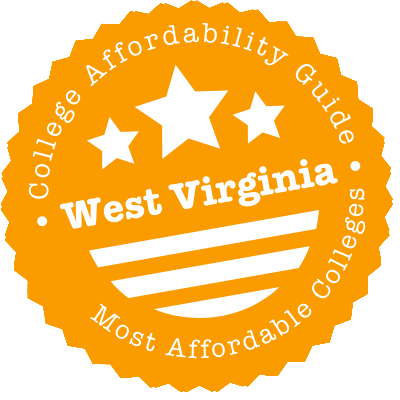 A top-quality college education that’s cheap enough for West Virginians to afford is possible. Take the first step toward your college degree by exploring the many funding opportunities available to you in the Mountain State. West Virginia makes it easy for students to transfer college credit between public institutions in the state. The state has a core coursework transfer agreement that facilitates lower division course transfers. Students with an associate’s degree also enjoy easy credit transfers and junior-level status. With West Virginia’s Core Coursework Transfer Agreement, students can complete a set of core general education courses at a West Virginia college or university, and then have those courses transfer to general studies at a receiving institution. Students with an associate’s degree from a public West Virginia college or university are generally able to transfer their credits to a new institution. They will typically be granted junior-level status once accepted to the receiving institution. West Virginia does not have a statewide transfer tool. However, many colleges and universities offer guides to transferring. To map your transfer credit, contact the receiving institution to learn about how transfer credit is accepted. These days, “cheap” and “college education” are words not often used together. But the truth is you can find an affordable West Virginia college or university to attend without accumulating a lot of debt. Begin your search at the College Foundation of West Virginia (CFWV) website to learn about numerous scholarships and grants available to West Virginia residents. The site will also provide you with information on applying for the FAFSA (Free Application for Federal Student Aid), tools for college and career planning, a financial aid calculator, and ACT/SAT test preparation programs. CFWV works closely with the Higher Education Policy Commission and its partners to promote and improve college access for all West Virginians who want to earn a college degree. Your search for the West Virginia college or university that you can attend without breaking the bank just got a whole lot easier! Summary: Also referred to as HEAPS, this grant is for students who cannot attend college full-time. Awards are based on actual per credit hour and required fees (for public institutions), or the average per credit hour and required fees (for private institutions), and cannot exceed the total cost of the program. HEAPS grants can be renewed until a recipient completes his or her program of study, but for no more than nine years after the initial award. How to Apply: Submit a completed FAFSA and any other documents required by the receiving institution. Summary: The Workforce Development component of the HEAPS program provides financial assistance to West Virginians who enroll in non-credit skill upgrade or development programs in high-demand occupations. Programs cannot be longer than 12 months. Applicants enrolled in an approved program can receive funding for the cost of the program, or up to $2,000. Eligibility: This program has the same eligibility requirements as the general HEAPS program, with one exception: applicants must be enrolled in a post-secondary certificate, or recognized credential or other work skill development program, instead of being enrolled in a certificate, two-year, or four-year degree program. How to Apply: Along with the FAFSA, you must complete a HEAPS Workforce Development application. You can get this from the receiving institution that is participating in the program. They will submit your application for you and notify you if you qualify for the grant. Summary: A need-based aid program, the West Virginia Higher Education Grant gives every qualified West Virginia resident (high school graduates, returning college students, and adult learners) the chance to pursue post-secondary education. For the 2015-2016 academic year, the maximum award was $2,600. The grant can be renewed until you complete your program, but for no more than three consecutive years beyond the first time the award is granted. How to Apply: File your FAFSA as soon as possible before the deadline. Visit their website and follow the directions on how to apply. Summary: This scholarship is open to undergraduates pursuing a program of study that will lead to a career in the environmental field. Awards can be up to $2,000 per student annually. Scholarships are also available for graduate students. For graduate-level funding, call 1-800-270-3444. How to Apply: Download the application and instructions from their website. Summary: ESP stands for Educational Seed for Physicians. This scholarship is for West Virginia medical students who are committed to specializing in the field of family medicine. Qualified applicants receive up to $5,000 a year. In return, they commit to practice in the state for two years, or one year if the student started receiving financial assistance in their fourth year of medical school. How to Apply: The application is available here. Submit the completed form and other required documents to: Family Medicine Foundation of West Virginia ESP Fund, 650 Main Street, Barboursville, WV 25504. Summary: Administering more than 100 scholarships established by people, organizations, and private firms, the Greater Kanawha Valley Foundation is the largest community foundation in Central Appalachia. It focuses on helping residents from Boone, Clay, Fayette, Kanawha, Lincoln, and Putnam counties. The majority of awards are for $1,000, but some are as much as $4,000 (Brooksie Boggs Fannin Scholarship) and $5,000 (Kamm Family Scholarship). Eligibility: Each scholarship has a specific set of criteria. Check the available scholarship opportunities to see those for which you qualify. How to Apply: You can only apply online at this application page. Summary: This scholarship is for young people (senior in high school and older) who were in foster care for at least 12 months, or who had a parent incarcerated for at least 12 months during their childhood. Awards are typically $2,000 per recipient each year. How to Apply: Visit their website to fill out an application or call 866-CALL MWV (225-5698) to request one by mail. Send completed hard copy applications to: MWV Scholarship Program, 168 Midland Trail, Suite 1, Hurricane WV 25526, or fax to 304-562-0726. Summary: This financial assistance program gives priority to junior, senior, and graduate West Virginia students committed to obtaining a teaching certificate and pursuing a teaching career in the state’s public schools. Awards can be up to $5,000 per academic year. Recipients must agree to teach in the public school system (at any grade level) for two years for every year they receive the scholarship. If they teach in a teacher shortage sector or in an economically disadvantaged area, they can teach for only one year for every year they receive the scholarship. How to Apply: Go to your account at the CFWV website and submit your application before the deadline. Summary: To encourage and assist students to enroll in programs in the engineering, science, and technology fields, this scholarship awards up to $3,000 per year to academically outstanding applicants in these disciplines. This scholarship has a work requirement clause (see the last two eligibility requirements below). Recipients will be required to pay back the scholarship award they received (plus any applicable interest and collection fees) if they do not fulfill the work requirement criteria upon completion of their program. How to Apply: Apply at the CFWV website. Summary: Working with the West Virginia Higher Education Policy Commission, the West Virginia Center for Nursing offers scholarships specifically for nursing students and professionals. Recipients must fulfill service obligations in order to avoid repayment of the scholarship amounts. There are two award cycles for each scholarship program – a combined spring/fall cycle and a summer cycle. How to Apply: Applicants must apply separately for each award cycle. Create an account at their website and download an electronic application. You can also call 304-558-0838 to request an application by mail. Mail the completed form to: West Virginia Higher Education Policy Commission, West Virginia Center for Nursing, 1018 Kanawha Blvd. E., Suite 700, Charleston, WV 25301. Summary: Open to full-time, first-year college students, the PROMISE scholarship is a merit-based program for qualified graduates of a West Virginia private or public high school. Annual awards can be up to $4,750. Students must apply within two years of their high school graduation to be considered, unless they enter the United States armed services in that time. Recipients must complete 30 credit hours over each 12-month period. Students who need to enroll in the summer term to fulfill the 30-credit hour requirement must do so at their own expense, or apply for a summer award here. How to Apply: Complete the PROMISE application and submit your FAFSA with the application before the deadline. Summary: West Virginia medical students can take advantage of this loan forgiveness program. Up to $10,000 in student loans can be forgiven each year if graduates work in designated underserved areas. How to Apply: Request an application from the Financial Aid Office at the participating West Virginia medical school to which you have been accepted. They will determine your eligibility and inform you of the final decision. Summary: West Virginia teachers with student loans can take advantage of this loan assistance program. Qualified teachers can receive up to $3,000 a year in reimbursement on payments they made toward their student loans. In return, they must teach for at least two years in a high-need geographic area in the state. No recipient is entitled to more than $15,000 worth of loan assistance. Eligibility: Only full-time teachers certified to teach in West Virginia will be considered. For loans to be eligible, they must be in the applicant’s name. Thus, Parent PLUS loans are not eligible for loan assistance. How to Apply: Download the application here and submit before the deadline. Summary: This program is for veterans who need to undergo further training or certification necessitated by loss of employment or workplace redundancy. Funds can also be used for exams connected with professional licensure and certification, as well as training programs and materials. Veterans must have exhausted their G.I. Bill benefits to be considered. How to Apply: Download the application here. Submit with other required documents to: West Virginia Department of Veterans Assistance, Office of the Secretary, 1514-B Kanawha Blvd. East, Charleston, WV 25311. Summary: This program is for children with a veteran parent who died in active military service during any time of conflict declared by the U.S. Congress, including World War I, World War II, the Korean Conflict, and the Vietnam Era. West Virginia must be listed as the home state of the deceased military personnel in his or her official records. How to Apply: Download and complete the application here and mail to: West Virginia Department of Veterans Assistance, Office of the Secretary, 1514-B Kanawha Blvd. East, Charleston, WV 25311. Summary: This recruitment incentive program is designed to encourage health professions students to complete their training and practice in an underserved region of the state or to teach in a state nursing program. Medical and dental students can receive up to $30,000 each year. Other qualified non-medical and non-dental students can receive up to $15,000 annually. How to Apply: Download and complete the required forms from the scholarship page on their website. Mail before the deadline to: Health Sciences Service Program, West Virginia Higher Education Policy Commission, 1018 Kanawha Blvd. E., Suite 700, Charleston WV 25301. Finding an affordable college or university is just the first step toward earning a college degree. You also have to live cheaply enough to stay in school. Expenses include health care, transportation, food, utilities and rent if you live off-campus, and child care if you’re raising a child. But help is never far away if you live in West Virginia. Begin your search at the Department of Health and Human Resources website for programs for which you may qualify. Click on the Programs and Online Services tab to view a complete list of services they offer. West Virginia has a new service called inROADS. It evaluates your eligibility for various programs and lets you apply online for benefits. You can also call 2-1-1 to receive information about services and to be connected with service providers throughout the state. Many universities require freshmen to live on campus. West Virginia schools are no exception. You can save some money by choosing the most affordable meal plan the university offers. Also, living on campus typically means you don’t need to have your own car. This can save on gas, insurance, and maintenance and repair costs. Basic services such as Wi-Fi, local phone connection, cable service, and utilities are included in your on-campus “rent.” Since the cost of providing these services is spread over many users, they do sometimes cost less than if you were to pay for each of them yourself. Also note that if you receive Pell Grant money, you can use part of that to pay for your on-campus housing. Other federal grants, such as the Montgomery G.I Bill or the Academic Competitive Grants, allow you to use a portion of your financial benefits for your housing costs. You can also talk to your school’s housing coordinator or Financial Aid Office about work-study programs or private scholarships if you can’t afford to pay for on-campus housing. One of the non-fiscal benefits of on-campus living is being independent without being completely on your own. It is also the chance to meet and live with many different people. West Virginia University students have the option of living in special interest communities. Their True Colors Community is an LGBTQA & Gender Inclusive Living Community that provides a safe and supportive space for students of all gender identities and expressions. There are also Live-Learning Communities created around specific fields of study, such as the arts, sports, and engineering. Choosing to live in these types of on-campus housing will not cost you extra, but you do have to indicate your interest early. Spaces tend to fill quickly. For example, almost all Bethany College students choose to live on campus. It’s easy to understand why. Housing options include apartment-style suites, traditional all female and all-male residence halls, and two-story residences designed to promote community living. If you want to compare on-campus and off-campus living costs, CalcXML.com has an online budget calculator to do just that. When you’re ready to venture on your own, start your search for off-campus housing at your school’s student services department. Many universities maintain a database of nearby off-campus accommodations. If you’re a West Virginia University student, you can search online for your ideal off-campus lodging. Sites such as campusrent.com and apartmentguide.com have interactive West Virginia pages to make your off-campus apartment search much easier. Remember to watch out for housing scams; avoid “bargains” that may cost you more money in the long run. The U.S. Department of Housing and Urban Development helps apartment owners nationwide offer reduced rents to low-income tenants. Search their database for West Virginia HUD-subsidized rental properties to find affordable housing near the college or university you plan to attend. You can also check if your income qualifies you for the Housing Choice Voucher Program (Section 8). Contact the Public Housing Authority in your area to find out if you are eligible. Furnishing your apartment can cost a lot, but there are several Goodwill shops in the West Virginia where you can get gently used furniture at bargain basement prices. If you’re new to living off-campus, you may be shocked when you receive your first utility bill. When keeping warm competes with staying in school or putting food on the table, check to see if you’re eligible for help from the West Virginia Low Income Energy Assistance Program (LIEAP). Along with helping you pay your energy bill, they offer weatherization services, free energy home inspection, and minor energy-related home repairs. If you’re experiencing a temporary cash flow problem but expect to be back on your feet soon, Dollar Energy can help you with your utility bill. Partnering with utility providers in 12 states (including West Virginia), they help those experiencing short-term financial setbacks to pay for their utility bills one time. Some colleges, like West Virginia’s Bluefield State College, help their students save money on medical expenses by negotiating a comprehensive plan with health providers at an affordable cost. In this way, they can provide a wide range of services to their students without having to charge them a lot for each visit or routine procedure. At Bethany College, all services at the campus health center are free. Clinic visits at the West Virginia Institute of Technology are covered by the medical fee that all full-time students are required to pay. Your will only incur additional charges there for tests or lab work. Most college health plans are available only to full-time students. If you don’t meet the minimum credit requirement to participate in your university’s health plan (or if your family needs healthcare), there are other options. See if you qualify for the Managed Health Trust, which is the West Virginia Medicaid program. A managed health care organization (MCO) will assign you a primary care provider to handle and coordinate most of your medical needs. The program also includes dental services. Check their list of participating dentists to make an appointment. Another dental assistance option is the West Virginia University School of Dentistry Student Clinic. Future dental professionals provide a wide range of affordable oral health care services under the close supervision of experienced faculty members. They accept adults and children. Many colleges and universities offer free counseling services to students dealing with stress. The University of West Virginia’s chillWELL program, for example, offers a number of online apps with exercises and meditation techniques to reduce stress levels. Other colleges such as Southern West Virginia Community and Technical College and Bethany College offer more traditional face-to-face stress-relieving counseling sessions at no charge to students. If you think you have more serious behavioral health issues (such as an eating disorder or severe depression), the West Virginia Bureau for Behavioral Health and Health Facilities may be able to help. Visit their website to learn more about their services, or call 1-800-HELP4WV (435-7498) for immediate assistance. Working toward your college degree while raising a family can sometimes be overwhelming. Reliable and adequate child care can be difficult to find and expensive. West Virginia has many ways to help you stay in school and take care of your family at the same time. Start your search for affordable child care at the Department of Health and Human Resources. You can find out whether you and your family qualify for subsidized care or other types of government assistance. You can also look up Head Start programs and child care providers in your area that meet your specific needs. Call 304-523-9540 for more information. Based on your income, your child may be eligible for the WV CHIP (Children’s Health Insurance Program), a low-cost health care plan for children and teenagers under 19 years of age. Take advantage of a wide range of health services (check-ups, immunizations, prescription drugs, vision and dental services, etc.) without paying for them out of your college budget. You can also make sure your child enjoys a nutritious hot meal every day by enrolling him or her in programs such as the West Virginia Summer Food Service Program (SFSP) and the School Breakfast and Lunch Program. Students at West Virginia University have a unique way to get around. The Personal Rapid Transit (PRT) is an electric-powered computer-driven conveyance that resembles a miniature bus. Students, faculty members, and WVU employees can use the system for free. It runs on a specially built 8.65-track and stops at five stations within the sprawling campus, as well as in between campuses. There are also campus shuttle buses and apartment shuttles for students residing in nearby off-campus apartments. Students can also ride for free on the city’s Mountain Line buses. Visit the transportation office at your West Virginia school for options such as free shuttle service or rideshare programs. If you need a car, opt for an alternative-fuel vehicle if you can. West Virginia offers tax incentives and tax breaks for car owners who drive eco-friendly cars. Several insurance providers in the state also offer discounts for drivers who own fuel-efficient vehicles. At the Nest, the student food bank at Fairmont State University, students can get items such as canned foods, boxed meals, snack items, fresh food, and even baby food products and formula. Personal hygiene products are also available. Other universities offer similar programs, including the Rack at West Virginia University, Mountwest Community Technical College, and Marshall University. You can also check to see if you qualify for the Supplemental Nutrition Assistance Program (SNAP). View the eligibility requirements and download the online application here. The Mountaineer Food Bank in Gassaway, West Virginia (Braxton County), serves 48 counties throughout the state. Their network has more than 600 feeding programs, including soup kitchens, food pantries, and senior programs. Visit their website to learn more about their programs and other services, such as disaster relief and their mobile pantry. Or call them at 304-364-5518 (Monday-Thursday, 7 a.m. to 5 p.m.). Thanks to inexpensive housing costs, the cost of living in Charleston is usually well below the national average. This is good news when you’re a college student on a strict budget. Also, because Charleston is the state capital, residents have access to many health and human services from the state and several non-profits within the city. Even with its relatively low costs, life in Charleston has its challenges. Below are some organizations that can help make life in this capital city much easier, especially for a college student juggling books, work, and family. Charleston-Kanawha Housing is the largest assisted housing agency in the state, helping people with low and moderate means to find affordable housing for more than 75 years. They manage 12 public housing developments and administer Section 8 vouchers for Clay, Kanawha, and Putnam counties. Because the need is so great, several food pantries in the area only give out food boxes a few times a month. The United Food Operation organization has a list of food pantries serving the Charleston, Kanawha, and Putnam region that you can contact for their eligibility requirements and food distribution dates. Covenant House helps Charleston residents meet their basic needs of food, clothing, and shelter. Visit their website to find the operating hours of their drop-in center, food pantry, and clothing closet, or call them at 304-344-8053. Committed to meeting the dental, medical, and pharmaceutical needs of those uninsured and underinsured, the Health Right organization may be the place to turn to when you’re faced with a healthcare concern in Charleston. Contact them through here or at 304-343-7000. This list of organizations and programs is by no means complete. The Kanawha County Community Services guide from the United Way of Central West Virginia has contact information for several more organizations that offer a variety of programs to those in Charleston who need help. Contact the organizations that can help you. The downtown area of this industrial city has recently experienced a renewal centered mostly on commercial, entertainment, and retail complexes. Although the cost of living is low, incomes are too. Check out the official website of the City of Huntington for general information about living in this southwestern West Virginia city. Cabell County, which encompasses Huntington, has an Emergency Assistance Program (EAP) for eligible residents who need short-term help to avert a crisis situation, such as eviction or utility shut-off. EAP funds can also be requested for food, transportation, and medical emergencies. Help is limited; request help only when you absolutely need it. The search for affordable housing can be difficult and tedious. The Huntington West Virginia Housing Authority can assist you with locating public housing or Section 8 apartments. Visit their website for more information or call 304-526-4400. Serving a 4,538-square-mile area that includes cities and towns in three states (West Virginia, Kentucky, and Ohio), Facing Hunger Foodbank has several assistance programs, including a mobile pantry and a summer feeding program. It manages a storehouse with millions of pounds of food and other donated or bought items that are processed for distribution to counties in its area of responsibility, including Cabell County. Along with being a reliable source of affordable, gently-used clothing and other household items, the Goodwill Industries of KYOWVA Area, Inc. now offers a career center, family services, and housing counseling. Its Hire Attire program provides professional business attire for job interviews or employment. To find more organizations that can help you in Huntington, check out the Cabell County Public Library database of available community resources for Cabell and Wayne counties. It contains information and contact numbers for organizations and agencies that can help you find and apply for food assistance programs, healthcare services, counseling programs, and much more. Home to the West Virginia University and part of Monongalia County, Morgantown offers the recreational amenities and health services you can expect to find in bigger cities, without losing its quaint, college-town feel. Start with the Monongalia County Health Department for available services. Scott’s Run Settlement House provides Monongalia County residents with programs such as a food pantry, a baby basics pantry, and a backpack feeding program. They also have seasonal outreach programs such as the School Supply Giveaway, Thanksgiving Baskets, and Christmas Sponsor-a Family. For help finding Section 8 or affordable public housing in Morgantown, contact the Fairmont-Morgantown Housing Authority. Partnering with government, private, and non-profit organizations in the region, the FMHA offers a wide range of services, including rental assistance and home ownership programs. Monongalia County works hard to provide its residents with warm, nutritious meals and ample food. Thanks to a long list of food pantries in the area, they are often successful in this task. There are many other non-profit and private organizations that offer different types of assistance to Morgantown residents – college students included. Visit the Connecting Link website to find out how you can stay on track toward your college degree without going hungry or foregoing medical help for you or your family.